Porsche is a famous luxury auto brand known for high performance, tradition and innovation. Indeed, when evaluating Porsche car shipping companies, we suggest working with a transporter that shares their expectation for high performance and puts their customers first. They need to communicate well, work hard and ensure every Porsche car shipping experience goes as smoothly as possible – especially yours. Keep reading for useful tips regarding how to ship your Porsche, shipping cost and why Porsche owners and dealerships nationwide have been choosing us with their car shipping needs since 2006. Of course, if you’re ready to move your Porsche, request a free customized car shipping quote. Or, give us a call at 1 (888) 886-3456 today. Shipping your Porsche should be a pleasant and easy experience. The first step to a positive Porsche car shipping experience is to do your research online. Avoid selecting a transporter solely based on lowest cost. In fact, with many companies in the auto transport industry, the lowest price can lead to unwanted delays and frustration. In reality, the cost to ship a Porsche depends on factors like the time of year, location and type of shipping. For example, open car shipping is less expensive than enclosed, but they each offer pros and cons worth considering. 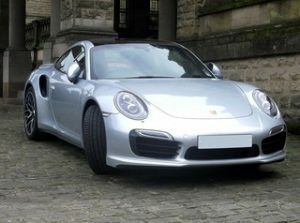 Instead of focusing on the cost to ship your Porsche, we recommend selecting your Porsche car shipping company on the greatest likelihood of a safe, on-time pickup and delivery. The best Porsche auto transporter has a flawless five star reputation among customers. They are a well-established car shipping company, fully licensed and insured. The transporter shares Porsche’s focus on high performance, as shown by their outstanding reputation for reliability and delivering on their promises to customers. In other words, your car shipping company will do what they say they will and deliver your vehicle safely and on-time. With over 30 years of trust and reliability, we will make every Porsche auto transport move easy for you. Read what our Porsche customers say and then get in touch for your next car move. A FIRST CLASS operation from beginning to end! I needed a vehicle that I had purchased, delivered from Texas to Boston, MA. I wanted an enclosed, hard body delivery in order to protect my new convertible. MATT at Fisher Shipping was a true professional, knowledgeable, and extremely helpful in setting up my transport and delivery. Pricing WAS EXCEPTIONAL! Timely delivery and constant communication between MATT, myself and the driver ANDRE, made the experience WORRY and TROUBLE FREE! Fisher Shipping did an OUTSTANDING JOB for me! I recently purchased a Porsche in Parchment NY and had It shipped down to Southeast Florida. Upon recommendation of my car dealer, I contacted Fisher Shipping and spoke with **** who took all my information and addressed any questions I may have had. A follow up call quickly transpired from Nicole who diligently set up the timing for my transport. All necessary files went sent to my email for approvals and signatures. Nicole made me aware of the delivery date and told my my driver would be contacting me when close to the destination. The entire process was flawless. My car arrived on time and off loaded from the trailer looking just as it did when it left the dealership. I performed a quick vehicle inspection and was fully pleased with its condition.The driver, who was very friendly and courteous completed the transaction. Key in hand, I was off and on my way in my new ride. Well done! Enclosed vehicle transport available: If you’re shipping a new Porsche or relocating a long distance, you may want to choose covered or enclosed auto transport.